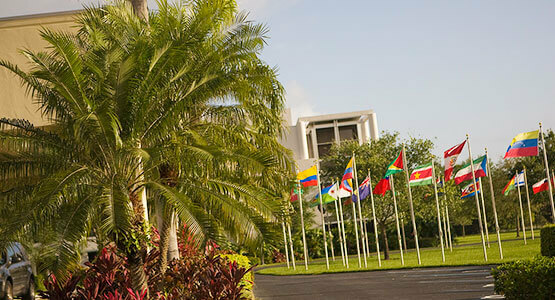 Consistently ranked as one of the most international schools in the country according to U.S. News & World Report, Lynn University is committed to diversity and inclusion in all aspects of academic life. Our student body includes more than 3,000 students, 19% of which come from countries outside the United States. Keeping this at the forefront of our mission, we prepare international students to achieve their dreams with a heightened understanding of the world in which we live—regardless of their location. If you are an international student considering the online Master of Science in Psychology to advance your career, we encourage you to review the following admission requirements. Personal statement describing your goals and aspirations and how this degree will help you attain them (500 words). Official university documents or transcripts bearing the institution’s seal or stamp, issued in English or with a certified English translation. If these are from outside the U.S. university system, your documents/transcripts must be reviewed by an international evaluations company. We recommend identifying one at NACES. Send the verified documents directly to our Office of Admission. Letter of recommendation from an employer or previous professor. Please note that since the program is offered entirely online, Lynn University cannot offer a student visa to students of the online MS PSY program. We only can accept scores received directly from the testing organization. We review on an individual basis any case where an applicant’s score is below our recommended testing levels. Consideration may be given to students who fall slightly below our recommended TOEFL/IELTS scores. These cases will be reviewed on an individual basis by the Office of Admission. To learn more about Lynn University’s online Master of Science in Psychology (MS PSY) and download a free brochure, fill out the fields below. You can also call +1 877-388-7239 to speak to one of our admission counselors about the degree program. To learn more about Lynn University's online Master of Science in Psychology (MS PSY) and download a free brochure, fill out the fields below. You can also call +1 877-388-7239 to speak to one of our admission counselors about the degree program.